We’re proud to announce that Pam and Scott both attained certifications in vestibular rehab recently. 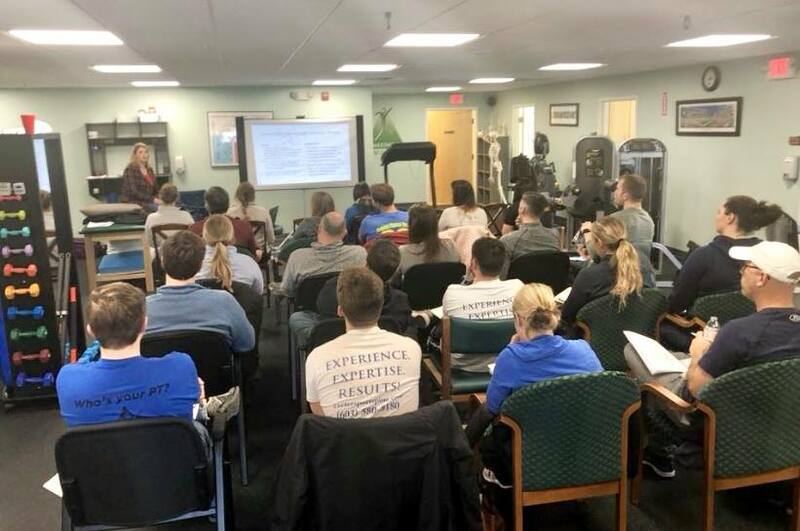 The two attended the American Musculoskeletal Institute course held at fellow Pinnacle Rehab member Somersworth Physical Therapy. Pam and Scott have now joined Hillary who completed her training last year — and now all physical therapists here at Accel are Certified Vestibular Rehabilitation Specialists! We’re proud to be Brunswick (Maine) and Greater Brunswick’s go-to for physical therapy. Located on the Brunswick Landing, we’re here to get you healthy – and happy – once again! When you need physical therapy, do not hesitate to reach out to us!